We have been managing residential and commercial properties since 1825. We currently administer a large portfolio of traditional tenement properties, together with a considerable number of modern developments. 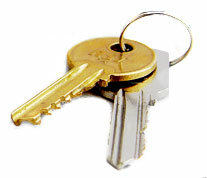 We look after the maintenance and repair of communal property on behalf of owner occupiers, landlords and tenants e.g. external walls, door entry systems, lifts, roof, landscaping etc. and apportion accounts from Contractors instructed on behalf of owners. We have our own experienced Property Inspectors engaged specifically to undertake regular formal Property Reports and to respond, where appropriate, with visits to properties to discuss particular problems with owners.